It’s the key event of the year for those working in Europe’s Protected Areas and from 18-21 September the EUROPARC Conference will take place at the Macdonald Aviemore Resort in the stunning Cairngorms National Park. 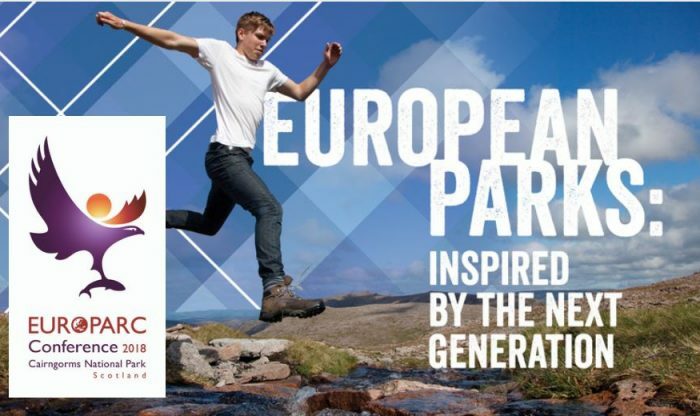 The theme of EUROPARC 2018 is European Parks: Inspired by the Next Generation and, as 2018 is also the Scottish Year of Young People, the Cairngorms is a fitting location for the conference. Hundreds of delegates from across Europe will gather to focus on what National Parks and protected areas can learn from and do for young people. EUROPARC 2018 will call for young people to be more involved in decision making, volunteering, working and living in Parks. A key part of connecting with the millennial generation will be the launch of a collaborative Youth Manifesto. This important milestone will enable young people to shape how they live, learn and work in rural communities and protected areas. European Parks will have the opportunity to pledge to make a difference for youth in protected areas across Europe. The conference, which is open to anyone to attend, will be presented by Muriel Gray, with three inspiring key note speakers: Richard Louv, whose book Last Child in the Woods, sparked an international debate and a movement to reconnect kids and nature. Hendrikus van Hensbergen is a young conservationist who believes all young people should feel moved and empowered to protect the natural world. Karen Keenleyside, co-chair of the IUCN’s Nature for All initiative, will share her experience in finding solutions to connect people with nature. In addition to the main speakers there will be a full programme of dynamic workshops and field trips which will allow delegates the time to delve deeper into many other relevant topics, and hear the experiences of counterparts from across Europe.